The first day of spring is almost here! Let’s get our homes and yards ready to thoroughly enjoy the sun! If you are looking for something that will add some color to your life, get your kids involved, and attract some singing friends, I have some great ideas for you! What could I possibly be talking about? I have scoured Pinterest looking for my favorite ideas and have detailed instructions for one below! I hope that you and your kids enjoy! Glue – Adults can use a hot glue gun. Kids should stick to a strong Elmer’s or similar products. Line up 12 Popsicle sticks. Glue two across them. Turn it over. 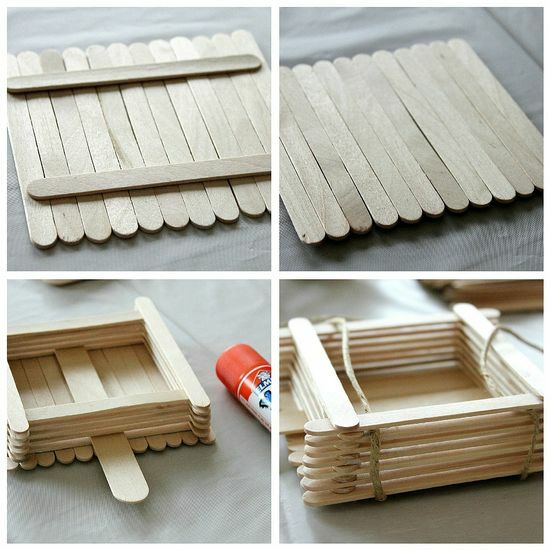 Glue a second layer of 12 sticks in the opposite direction. This secures the base. Alternate sticks once around the frame. Glue down the tongue depressor in the middle. It should hang over one edge. Alternate sticks around the outside until you have 6 rows. Glue down each stick as you go. Set aside to dry. *OPTIONAL: Let the kids decorate the bird feeder. Set aside to dry. Parents: Use a hot glue gun to attach the cord to the underside of the feeder. Thread the cord in between the top Popsicle stick and the one below it. Secure with hot glue again. 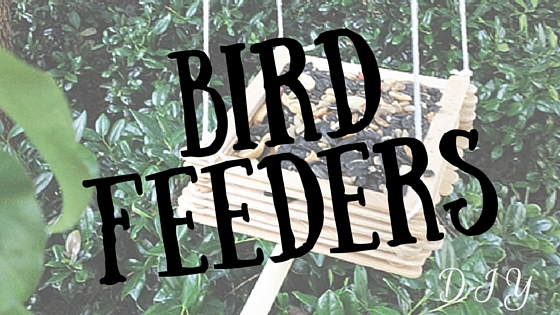 Fill with bird seed and enjoy! 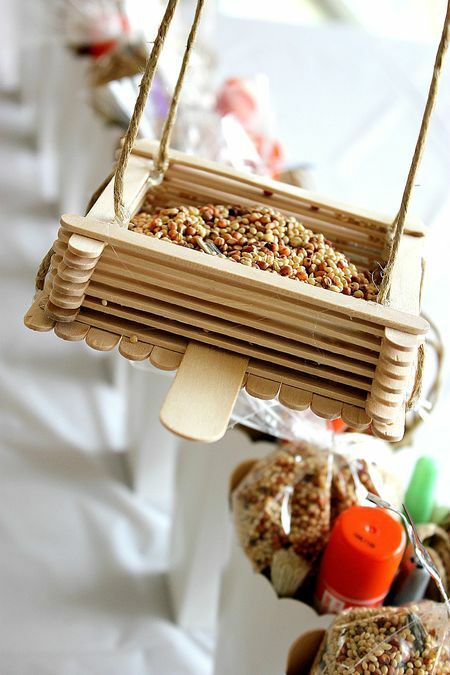 For even more fun, head on over to our bird feeder Pinterest Board, Tweet Tweet We Like To Eat!